Your weekly Netflix pick comes from Amazon Prime to tug at your heartstrings. 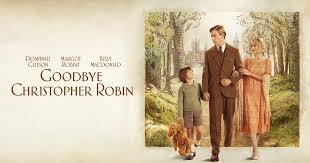 Goodbye Christopher Robin is based on the true story of Alan Milne. Milne is the creator of the beloved Winnie the Pooh. After his time at war AA Milne (Domhnall Gleeson) returns to city life with his wife Daphne (Margot Robbie). Milne has a hard time getting back into the swing of civilian life. The vibrant man he once was never returned from the war, much to Daphne’s dismay. The two decide to have a child and move to the country. Gleeson is trying to write something serious to impact the world. Being unable to relate to a child properly the stressed couple hires Olive (Kelly Macdonald) as a live in nanny. Olive and Billy Moon, as he was known by his family, got on great. Daphne had a hard time letting her party days go but always brought a toy home for her son. She gave the stuffed animals voices and personalities much to Moon’s delight. Circumstances lead to Milne and his son being home alone for an unclear amount of time. Milne isn’t sure how to raise a child but the two find some common ground in invented adventures. Moon’s imagination and play become the groundwork for Winnie the Pooh. The groundwork quickly forms into many of the stories that are still sold today. 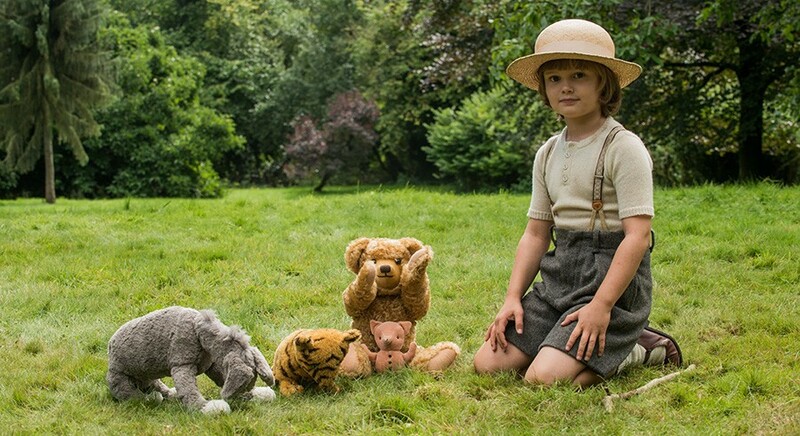 Goodbye Christopher Robin had a small release and didn’t make a splash in theaters when it came out last year. Strange considering how well the current fictional Christopher Robin movie is currently doing in theaters. This was interesting as a primer to the first movie and tells the story behind the stories. Sadly life for the real Christopher Robin wasn’t as charmed as his fictitious alter ego. Domhnall Gleeson does an outstanding job as the complicated father figure. Men of that era weren’t often the primary caregivers to even their own children. The scenes of Gleeson and Will Tilston (8 year old Billy Moon) are magical. Tilston is a phenomenal actor and carries the movie. A common problem with child actors is they act. They don’t often deliver the most natural performances. Tilston never feels like he’s acting. You really feel for the kid. As fame becomes a mass wave of obsession you feel the stress, strain, and displeasure in the kid who is just trying to do right by his parents. Margot Robbie and Kelly Macdonald are great actresses. Their characters are important in the movie but they never quite get the material they deserve. The weirdest alteration to what is purported as the ‘true’ story is that Daphne was largely responsible for the creation of Winnie the Pooh and really cared for Billy Moon. The movie version of Daphne is a cold woman who hardly seems to care about her child at all. Dramatization and the skewing of facts isn’t uncommon. It just seems like a strange choice in an otherwise heartfelt and heart wrenching movie. Well made, well acted, and an interesting story. Everyone reading this has at least some connection to Winnie the Pooh. It was fascinating to see the origins and the people behind the franchise. The facts are close enough to reality for any movie. © 2019 Copyright So Wizard Podcast. Site by WallyHawk.